For over some decades we have been attempting to convert our reality into digital. We have dome this through the construction and design of now common devices such as the smartphone or the tablet. Now that we have achieved to convert these practical objects into our most cherished possessions, our challenge is now to make the digital our second nature. Google is launching a new product to convert our future called Google Glass, trying once again to change the world as we know it. Google Glass are a pair of augmented reality glasses, competing in the eye-wear computing market. The glass will help us share our day to day and our world in a continuous, easy and intuitive way. 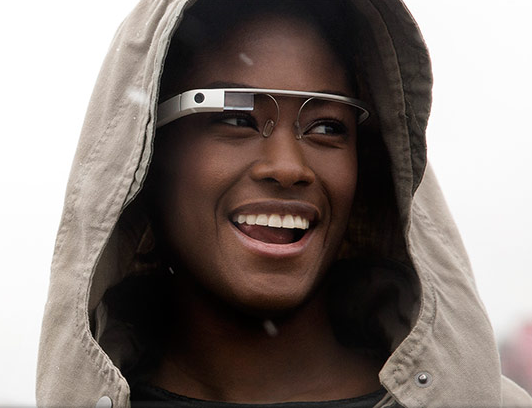 The Google Glass is head mounted and worn as a normal pair of glass… white, light, flexible, and minimal looking. The glasses have a mounted screen that displays all your needed information with voice based, hands free commands. It will use Android Operating System for information display. Google has launched a video displaying daily uses for the glasses. The first edition of will cost around $1500, and will only be available to attendees of Google I/O 2012. Google’s expectations are to launch the Google Glass to the general public in 2013. This entry was posted on March 9, 2013 by mcquant in News and tagged Google, Technology.